Do you need to budget additional funding to hire more people? Do you need to hire more salespeople? Should you expand into a new market? Answers to each of these questions result in strategic decisions that have a company-wide effect on your operating business model. At times, they are made in a responsive manner where your judgment is adjusted to address your firm’s immediate business issues. But aligning those business decisions with identified strategic goals can be difficult if your decision process is reactive to the causes and effects of daily corporate operations. To run a company successfully, senior management must have the footwork of a professional athlete, the accounting savvy of a CPA and the sales skills of an international negotiator. Management needs to understand the environment in which their business decisions are made to determine the correct business decision based on their corporate objectives. So — how should management make strategic decisions? Executive decisions should be evaluated based on the cause and effect model of the event being reviewed. Are you addressing the primary problem (the cause) which was created or are you addressing the secondary problem (the effect) which is the outcome of the primary problem? 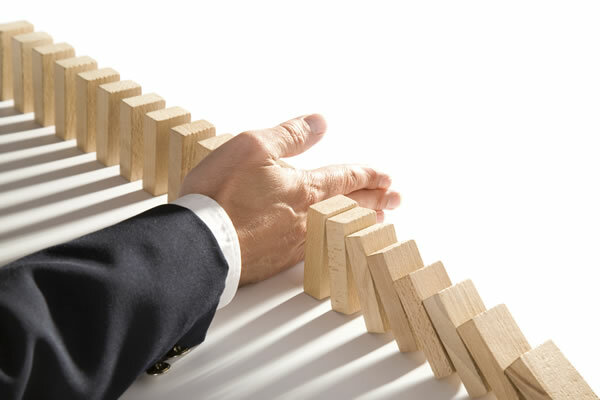 Often executives find themselves reacting to secondary problems which were created by a primary problem. If the primary problem is not identified and allowed to recur over and over again, then secondary problems (often more identifiable) result. If your key account project work deal is off schedule, do you blame the lead implementation manager? If sales are down, is it the sales team’s fault? Each one of these events has a cause and effect impact and must be evaluated from a stand-alone point of view. Your strategic decisions should be based on logical corporate goal alignment instead of reaction to an immediate crisis. Generally, most strategic business issues can be positioned into two separate categories. Primary Problems which cause the business pain and must be fixed or secondary problems will occur. Secondary Problems which are the effects (or outcome) of the primary problem and are often viewed as the main problem in crisis management. By addressing and adjusting the primary problem, you are able to prevent and remove future recurrences of various business issues. Many times, just fixing the secondary problem forces the business issue to repeat itself. When dealing with day-to-day business issues, use the following actions and steps to evaluate your decision alignment process more succinctly and determine if you are trying to fix a primary problem or a secondary problem resulting from the primary problem. Remember, general business issues that repeat themselves (after you have made adjustments) are usually secondary problems of a larger primary problem which has yet to be addressed. Start with identifying a business problem. Determine if the problem is a recurring issue, e.g., lack of sales, delay in releasing product, etc. If it is a recurring issue, then you have probably only identified a Secondary Problem – the effect rather than the cause. Try to assess what is causing the issue identified above. This will be the Primary Problem, e.g., product is incorrectly positioned, other priorities get in the way of releasing new product, product doesn’t work as well as competitors’ product, etc. After the Primary Problem has been identified, adjust and align. The Primary Problem will continue to affect your operating model until you make adjustments and align your decision with your corporate goals. Create contingency actions to prevent the Primary Problem from affecting your model in the future. Audit and manage. Make sure that the Primary Problem is kept in check in order to prevent Secondary Problems from arising. Focus more on responding to business issues from a cause position rather than an effect position and you will align your business decisions more accurately with your corporate goals.